Matt. 6:24 “No one can serve two masters. For you will hate one and love the other, or be devoted to one and despise the other. 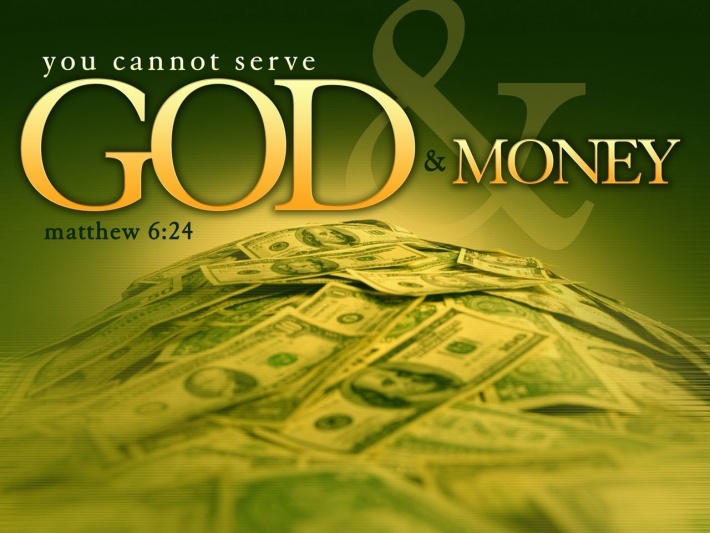 You cannot serve both God and money. When it comes to money have you ever thought about this question: Are you master over money or is money a master over you? When it comes to money and Christians they don’t usually like anyone talking about money, but Jesus addresses this issue many times in scripture and He did so for several reasons, but the most important reason He did so is because of the above verse of scripture. Take a moment and read that verse again and think about what it is saying. There is not doubt nor question about what Jesus is saying here. If money has become your master then you are not serving God for you cannot serve both God and money. One of the first things that religion has done to deal with this incorrectly is to claim that we should be poor, for Jesus even told a rich young ruler to go and sell all that he had, give it to the poor, and come follow Him. But Jesus was dealing with what had become a god to him, and Jesus also declared that when you give it shall be given to you. There is no doubt that poverty is not of God. Poverty is demonic and will strip you from what God desires to do through your life. On the other hand there are those who do teach it is God’s will to prosper us, and it is, but they clearly are out to take advantage of people going further to say things the Bible does not say. They will tell you that you must give only to their ministry to be blessed, or that you must give in the next 30 minutes a certain amount of money and if you do all your needs will be taken care of. Neither Jesus nor His disciples did any of this when it comes to dealing with money. But there is a clear truth revealed here in Matthew 6 that if you are serving money then you cannot be serving God. God wants us to master money because if we do money will never master us. If you serve money then money is making the key decisions of your life. God is being removed from that equation even if you think otherwise for again as Jesus said you cannot serve God and money. God wants us to master money so that He is the one that has our heart, for it is through your heart that God is going to lead you, it is through your heart that you are going to receive from God, and it is through your heart where true life comes from. So what are some of the signs that our money is our master and we are in fact serving it? Jesus gives us some clues in our foundation verse for starters. Those who despise or hate for a pastor or minister to ever ask of anyone to give to the work of God are serving money. As Jesus states here one of the things you will see in contrast to serving God or money is that you will love the one and hate the other, or you will at least be devoted to the one and despise the other. Most believers would not think they are despising God, but to despise here means to think little of. What you think little of you will invest little in, but what you think highly of you will invest highly in. If you think highly of your kids you are going to invest much in your kids. If you think highly of your education you are going to invest much in your education. If you think highly of God you are going to invest much in the kingdom of God. Investing much is not based on amount but percent, but the truth is we all invest our money in something. Everyone beyond their basic needs invests or spends their money on things that are important to them. What we invest in reveals what our heart is set on. Matt. 6:21 Wherever your treasure is, there your heart and thoughts will also be. When our heart is set on God, then God can give us the direction and guidance we need in life, for that is how He does so. When our hearts are set on God faith will rise in our hearts as we hear God’s Word, for faith is of the heart. When our hearts are set on God we will tap into the life of God within us, for that is where the source of that life comes from. Our treasure (which refers to where our money comes out of, bank account, wallet, etc.) reveals what our heart is set on. Many just don’t want to admit this is true, but in denying this truth from the Word of God we continue to live in deception and continue to have money as the master of our life instead of God. Money is not a good master. It cannot love you when you hurt, it cannot heal you when you are broken, it cannot fix relationships, it cannot bring you true inner peace and joy, it cannot deliver you from the powers of darkness, it cannot get you to heaven, it cannot restore your relationship with God, and on and on you could go. God has never been against His kids having money, for He knows that it is what we need to not only provide for our families, but it is also what we need to fulfill His Great Commission to go into all the world and preach the gospel. If God has called His kids to go into all the world and preach the gospel don’t you think He would provide us the way to do so? God would not call us to do something He would not provide us with the ability to do. One reason money is a master to many is because they are not thinking of fulfilling this Great Commission God gave us. They are just focused on trying to provide what they need and what they want. When our focus in life is not the same as God’s we are not going to see what He sees and we are not going to experience what He desires for us in this life. When it comes to our money do we look at a dying world where so many do not know the truth about the gospel and become motivated to do something about it? God’s desire for you is to not only see to it that you have your needs met, but that you have more than enough to help evangelize the world, but it begins with a seed. Many may say that when God finally blesses me I will begin to give, but that is the same as the farmer saying I will start sowing when I get enough seed. Notice here in 2 Corinthians 9:10 the Holy Spirit through the apostle Paul states that God supplies seed to the sower and bread for food, and He will in fact supply and multiply the seed we have sown. God does not multiply seed sitting in our bank account or wallet. God does not multiply seed that we use to spend on other things instead of sowing that seed. When you finally decide to become the master of your money you decide to become a sower. You decide to invest in something that your heart becomes set on, the kingdom of God. When you become a sower you begin to recognize that you have seed to sow. You just have been using it for other things that are not eternal. How do you become a sower? How do you begin to master money? You must put action to your faith. People often think they don’t have any seed to sow, but in fact when you simply pray and ask God what He desires for you to give above the tithe and then do so, you will see God begin to multiply the seed you have sown. Scripture in the New Testament is clear that we should in fact be tithing and giving offerings. That is a whole other subject to teach on, but if you want to become the master over your money you must go to the Word of God, recognize what God’s Word says about money, then face any fears you may have by acting on God’s Word in faith. As I recently heard my wife say, “If we trust God with our life (our spirit) which is eternal, surely we can trust Him with our money, which is only natural & temporary.” You cannot serve God and money. If we want to serve God we are going to have to master our money instead of our money mastering us. God’s desire is to prosper your life. Scripture is very clear about this, but you have to sow seed for God to have something to multiply. Don’t let money be your master, make God the master of your life and you will watch Him bless you and take care of you providing more than enough to do your part in evangelizing the world! Matt. 23:23 “How terrible it will be for you teachers of religious law and you Pharisees. Hypocrites! For you are careful to tithe even the tiniest part of your income, but you ignore the important things of the law—justice, mercy, and faith. You should tithe, yes, but you should not leave undone the more important things. One of the most misunderstood areas of scripture has to do with money. There are those who think if you ask for any money to do the work of God you are just after their money. Then there are those who exploit people by making all kinds of promises about their giving that is not based on scripture. As the old saying goes we should not throw out the baby with the bath water. I am amazed at how many Christians don’t think you should ever ask for money in church. Many want to have a church facility to come to where they can grow in their walk with God, bring their kids to kid’s church, and have a place to connect with others, but for some reason they must think the money to provide such things to do God’s work just comes from out of no where. I often wonder how do they think a church pays their light bills, provides snacks for their kids, pays for rent or payments to keep their facility, and provide upkeep and maintenance for their facility? Most people who have an issue with giving to the work of God either have no understanding of what God’s Word says about it, or they are in love with money. This week I want to share seven Bible reasons as to why God says we should give tithes and offerings. 2 Cor. 9:10 And God who continually supplies seed for the sower and bread for eating, will supply you with seed and multiply it, and will cause your almsgiving to yield a plentiful harvest. Take a look back at our foundation text, and then at this text here in 2 Corinthians 9:10. First in Matthew 23:23 Jesus tells the Pharisees that they tithed right down to the very herbs in their gardens, but they had overlook the very justice, mercy, and faith of God that was standing before them in Jesus Christ. Notice Jesus in the New Testament clearly states that they should tithe, but not overlook what He had come to do to provide justice for all through His shed blood, revealed by the mercy of God, and received by faith in what Christ would do for us. 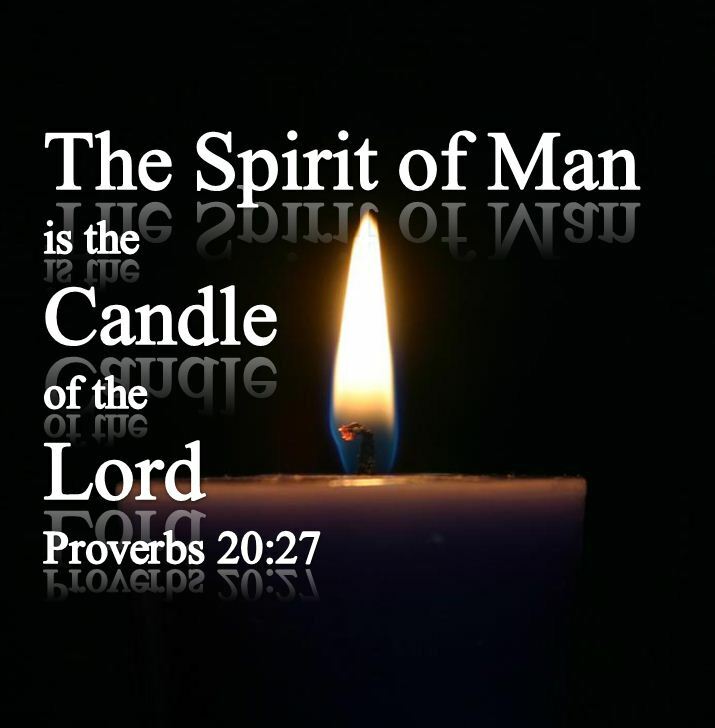 In Leviticus 27:30 God said all the tithe is the Lord’s, and it is holy to the Lord. The tithe is the first tenth of our increase. Many today say tithing is of the law. First of all by saying that they don’t even understand tithing and the fact that Abraham who gave a tithe of all to Melchizedek did so before the law was ever established. Tithing is in the law but not of the law. Secondly Jesus Himself here clearly tells the Pharisees that they should tithe. I don’t know how anyone can misinterpret that unless you are going to change the Word to fit your lifestyle. Tithing is a way we honor our God and it is something He established, not man. Above the tithe we are to give offerings. Remember the tithe is the Lord’s, not mans. That is why Malachi said to God’s people in his day that they had robbed God of tithes and offerings. As 2 Corinthians 9:10 above states God supplies us not only with bread for food, but with seed to sow, so that when we sow that seed He can in turn multiply it back to us to yield a harvest of blessing. All through the New Testament we see verses of scripture that reveal it is God’s plan to give tithes and offerings, not mans. Mal. 3:8 Will a man rob or defraud God? Yet you rob and defraud Me. But you say, In what way do we rob or defraud You? [You have withheld your] tithes and offerings. Mal. 3:9 You are cursed with the curse, for you are robbing Me, even this whole nation. Mal. 3:10 Bring all the tithes (the whole tenth of your income) into the storehouse, that there may be food in My house, and prove Me now by it, says the Lord of hosts, if I will not open the windows of heaven for you and pour you out a blessing, that there shall not be room enough to receive it. Our tithes and offerings are to be brought to our storehouse, the house of God where we are feed the Word of God, and where we in giving help support the work of that local church as well as the outreaches of the church. As I stated in my opening comments how do people who come to church and think it’s wrong for the church to obey the Word of God and take tithes and offerings think the church pays it’s bills? A church that is obeying God’s Word is also going to fulfill the call of God through outreaches to evangelize and reach out to those in need. This is clearly God’s plan. The kingdom of God’s system to bless you is in giving and receiving. Jesus here states that when you give you will receive. The measure of your giving will determine your receiving. Even Paul states in 2 Corinthians 9:6 if we sow sparingly we reap sparingly, but if we sow bountifully we will reap bountifully. This is how God’s kingdom operates to bless His children. Sowing bountifully is not based on amount, but on the percentage of what we give. Jesus in the temple one day pointed out a widow who gave two mites in the offering that day. He told his disciples the rich had put in much by way of amount, but that widow had given more than all of them for it was all she had left. The key to giving offerings is praying and asking God what He desires for us to give. If we will do so and obey Him God will make us a bountiful giver because He does desire to bless His children. We don’t reap what we want; we reap based on what we have sown. Prov. 3:9 Honor the LORD with your wealth and with the first and best part of all your income. Prov. 3:10 Then your barns will be full, and your vats will overflow with fresh wine. When you honor God with the first tenth of your income, and each time you come to God’s house pray about what He wants you to do in giving Him an offering, you are keeping God first in your life. Jesus Himself said in Matthew 6:24 that no man can serve God and wealth. 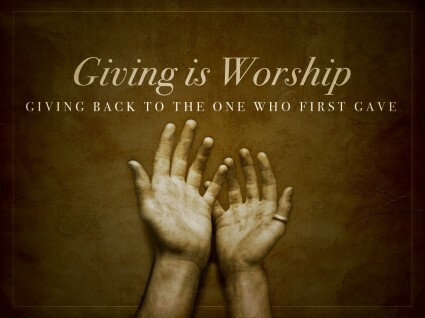 If we honor God in our giving we keep God first, not wealth. Scripture reveals that the love of money is the root of all evil. Money is not evil, but the love of money is. That will never be a problem for one who puts God first. Matt. 6:21 For where your wealth is, there also will your heart be. When we use our wealth, our money to do the work of God that reveals what our heart is set on. Those who give to God from their heart, because they want to not because they have to, they keep their focus on eternal things. Their attention is on heaven, not on the things of this earth. Matt. 6:20 but lay up for yourselves treasures in heaven, where neither moth nor rust destroys and where thieves do not break in and steal. As givers we are laying up treasures in heaven. Those treasures are all the people who will come to know the Lord and be born again because of the seed we have sown into God’s kingdom. People are God’s treasure and we will have a great reunion in heaven with those whom we have help to reach with the gospel. Mark 16:15 And then he told them, “Go into all the world and preach the Good News to everyone, everywhere. Mark 16:16 Anyone who believes and is baptized will be saved. But anyone who refuses to believe will be condemned. God’s desire is that none perish but that all would come to the knowledge of salvation. One of the last things Jesus said to the church was to go into all the world and preach the good news to everyone everywhere. It takes money to go into all the world, but it is an investment that changes lives for eternity. There are many things man can invest his money in, but there is only one thing that will make an eternal difference, investing into the work of the kingdom of God.